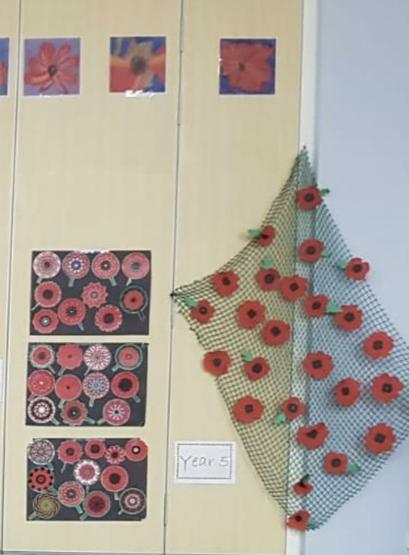 What a beautiful display of poppies to celebrate 100 years of the end of WW1. 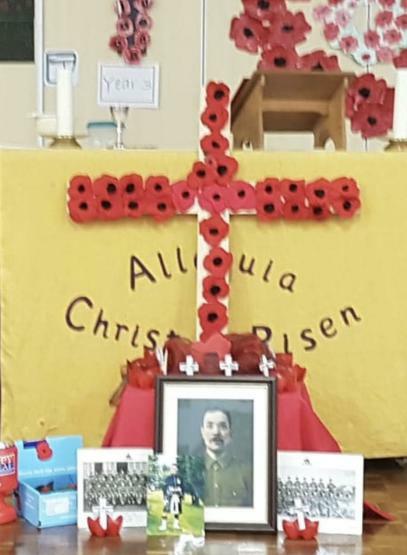 Today we celebrated Mass in school, honouring all those who died in the war! Mass was led by the children in Y3, who read beautifully and sang their little hearts ♥️ out! 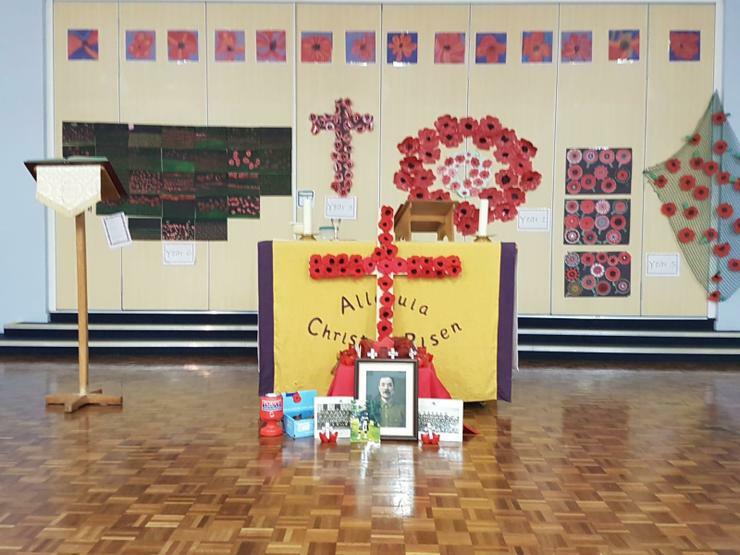 The whole school came together to remember! Children brought in pictures of family members, to lay in front of the Altar; offering prayers for their service! 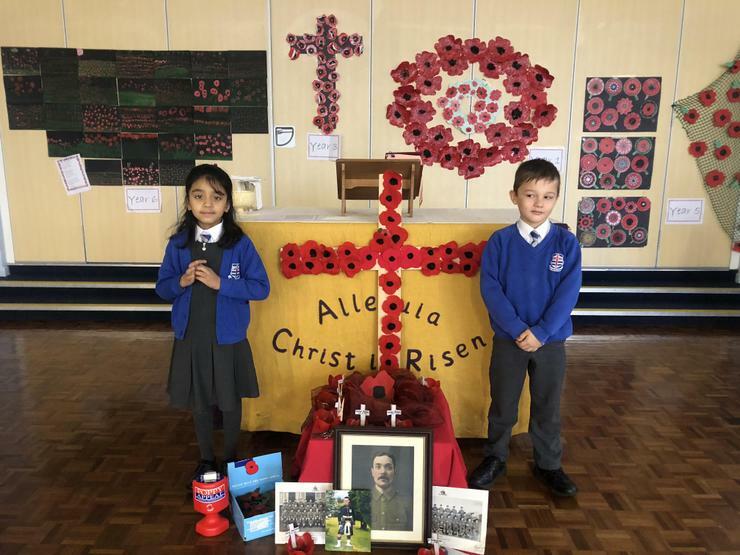 Children from Y2 carried their cross made of poppies as part of the procession into Mass! Thank you to all the parents, Governors and grandparents, who joined us for this wonderful celebration.